What does it mean that organizations are vetted by GlobalGiving? How does GlobalGiving ensure your donations are made securely, sent to the right place, and used for the intended purpose? GlobalGiving performs rigorous due diligence on every organization in the GlobalGiving community in order to ensure they are performing charitable work in a transparent and accountable manner, and that they meet local requirements for registration with their local government. We collect and review documentation for every organization, including its legal documents, financial records, program materials, and lists of senior staff and board members, in order to validate the organization that is running the project as described. We also evaluate the organization’s capacity to implement activities, and communicate about its work, and we research the organization’s relationship with previous funders. Finally, we ensure that the organization is compliant with anti-terror guidelines and international guidelines for philanthropy. Most organizations in the GlobalGiving community have succeeded in our Open Challenge; they’ve successfully raised approximately $5,000 from 40 donors in a specific time period. This is a crowdsourced step in our vetting process. We also look to ‘the crowd’ to provide feedback about projects on GlobalGiving through reviews on GreatNonprofits, and by collecting community stories. Once they’ve been vetted and added to the GlobalGiving community, each organization is required to submit quarterly project reports, including activities, accomplishments and results of the project to-date. These reports are emailed to donors and publicly available on the project page so supporters can see how their donation is being used and what progress has been made. We conduct a thorough due diligence renewal on all organizations every two years and make every effort to ensure each organization is personally visited by a GlobalGiving representative once every two years. Beyond what’s required for participation in the GlobalGiving community, our nonprofit partners have the opportunity to share extra information about the effectiveness of their work. Organizations can share information about how they listen to their stakeholders, test out new ideas, and improve their programs and services based on what they learn from data and feedback. Through GG Rewards, GlobalGiving ranks nonprofits as either Partners, Leaders, or Superstars based on their engagement with the community and their demonstrated commitment to effectiveness in this way. 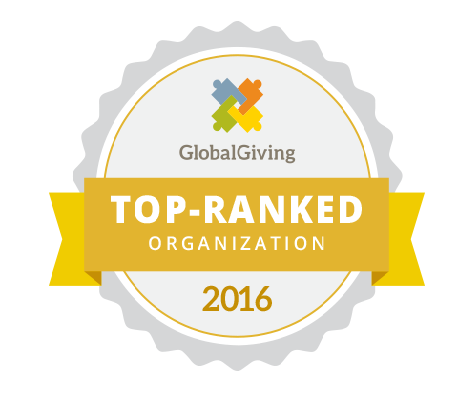 Organizations ranked near the top will be more visible on GlobalGiving’s platform and are more often recommended by GlobalGiving to donors and corporate partners.